Do you ever feel like no one sees or hears you when you’re just trying to help? Is there anyone in your life who you would consider an annoying know-it-all? If you answered YES to one or both of those questions, you either ARE or KNOW a PROJECTOR. For Projectors, what would it feel like to be seen, understood, and acknowledged for your guiding light, awareness, and insight? For the non-Projectors, what if you could understand who Projectors really are to allow them to unleash their true powerful gifts, so you can experience less annoyance? When you can unleash your power as a Projector, you effect change in this world. When you allow another Projector to BE who they are, you effectively change the world as well. 3 Secrets to Unleashing the Power Within Projectors. As a Projector and Certified Human Design Level 4 Specialist, Alana knows all too well the pain points of BEing a Projector. She also has experience perceiving Projectors - through working with Projectors, being married to a Projector, raising a Projector daughter, and having other Projector family and friends. Alana has used her inner and outer Projector experience and knowledge to create this series for you. Her intention is to guide you to find harmony, sustainability, and understanding of the Projector inside of you, or outside of you. 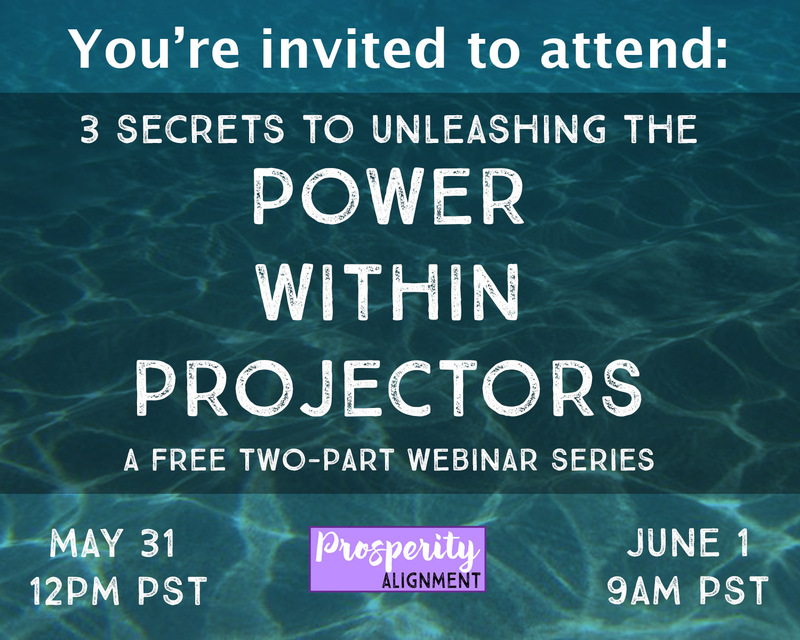 The first webinar on May 31 is FOR Projectors. If you want to understand more about who YOU are as a Projector, this free class is for you. The second webinar on June 1 is ABOUT Projectors. If you LOVE Projectors, work with Projectors, or know Projectors, this is the call for you. Are you an investigative, gotta-know-as-much-as-you-can kind of person? Then you will love that you have access to both calls. Together, let’s understand and allow each other to shine and just BE.